But hey, don’t blame me if they aren’t as good as the originals! Haven’t tested them yet … will post an update once I have them. I’m thinking: Even if they’re only half as good as the original, I paid one-fifth of the price!! I covered the most basic HDSLR “accessories”, lenses, last time. Of course, without a lens you just can’t shoot anything, it’s as simple as that. That’s why I tried to skim the surface of this somewhat infinite subject first. Today I cover the really boring “support gear” of equal or at least similar importance: batteries, memory cards and bags. Most of you might think this is obvious, but I got a lot of questions from keen amateurs regarding this simple topic: how many batteries should you own? Shooting video on DSLRs is really draining the batteries extremely fast, that’s simply because these cameras are still only partially thought of as video cameras by the manufacturers, at their heart they are still meant for stills. And in normal stills mode, you don’t need the LiveView monitor – traditional photographers still use the viewfinder, which lets you look right trough the lens through a mirror (therefore, this eats up very little battery). When shooting video, you have to use the LiveView Mode, because the flipped-up mirror inside the camera is blocking the view through the viewfinder. So the LiveView monitor of course needs a lot of power and the battery drains fast when you have it on all the time. I recommend getting at least 3 batteries for a start – one in the camera, one ready and one in the charger at all times. If you are out and about a lot and don’t have a chance of recharging, I would say 5 batteries are very recommendable. Next up are memory cards. Same as with the batteries, you don’t want to run out of memory in the field. 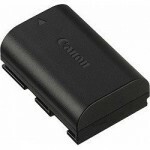 So get enough SD cards for your Rebel T2i / 550D. As opposed to the 5Dmk2 and the 7D, this camera uses SD cards only. It can digest SD, SDHC and the new SDXC cards which can theoretically hold up to 2 TB (but that is still far, far away). It takes SDHC cards with a maximum of 32 GB. The cards you get have to be fast in order to be able to save the constant data stream of video right away. So get only cards that have “Class 6” written on them. 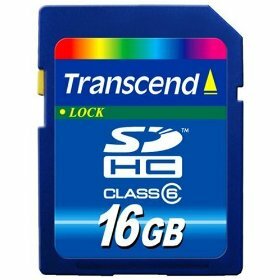 I can personally recommend the Transcend 16GB SDHC Class 6 cards as I have been using them day in and day out with my Sony EX3 (using a SDHC card adapter). Haven’t had a problem with any of them so far. 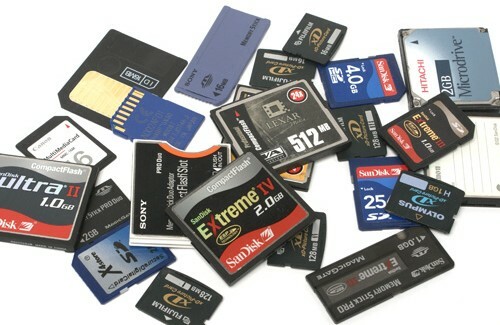 I wouldn’t use any cards smaller than 16 GB – when shooting video, those cards will fill up really fast! There’s space for about 48 minutes of 1080p video on one 16GB card (4 chunks of the maximum clip length of 12 minutes, 4GB each). SanDisk Ultra II are also great, both 16GB and 32 GB versions are available. I used a lower capacity card at first that worked fine for me, although they are classified as Class 4, which is supposedly too slow for 1080p – but it wasn’t. I cannot guarantee you they will perform as good as Class 6 cards and I wouldn’t recommend using them continuously in a professional environment, but they worked for me for the brief time I used them when starting to shoot my short “FEBRUARY”. On a typical shooting day – this really varies extremely due the circumstances or the subject matter – I shoot between 1 and 5 hours of footage. So if you get around three to five 16GB cards for a start, you are on the safe side if you plan on shooting without having to offload your cards several times a day. This Lowepro Fastback 250 is great if want to have access to your camera fast and you don’t want to carry it around your neck all the time. Mini bags like this one or this one are great if you don’t want to carry much more than the camera and one or two additional lenses and some batteries. For normal carrying around, check out this Nikon backpack that I really like, or this other one from Lowepro. It’s so slim you won’t even notice you’re wearing it! So that’s all about these basic but really essential accessories. Next time I will talk about ND filters and after that, audio recording will be on the agenda! If you want to keep up to date all the time, please follow me on twitter and/or send me your questions! Thanks so much for posting this info, I enjoy reading your blog! This is great stuff and so helpful for a novice. I’ve been shooting on the HV30 for the last two years so I’m going from tape to SD Cards. Are you keeping all of your footage after you download it and edit it? If so, would you mind recommending some storage options? Yes, I keep all the footage of course. I use a very simple and affordable setup to store and backup all my data. It’s an eSATA enclosure for internal SATA drives, I can just swap them when I need another one. I got the version with two swappable drives, but wasn’t able to find them just now. I keep all my footage on two SATA drives – one to work from and the other one just as a backup. Thanks for this info. I just picked up a T2i and this is exactly what I need. I’m on a tight budget. Maybe a post on accessories for great video. I would love to make budget music videos for local bands. @frank B Thanks for the links ! I have a quick question about batteries: How many minutes of video can you approximately shoot on one battery? This will help me decide how many extra batteries I’ll need. Oh and theres a new 550D forum/website out. Seems similar to hv20.com. But yeah its 550d.co.uk. Not so sure it’s a good idea to make a new forum for every new camera on the market! There are already some great forums out there, let’s use the expertise of dvinfo.net, dvxuser.com and all the other good ones! i’m curious and will have a test run how long batteries and SD card’s will last in the real world … what was your experience on your test-shoot ? When I had the test unit, I didn’t have the chance to review that – but from my experience, with lots of on-and-off shooting, I estimate that one fully-charged battery should last for around 1.5 hours of continuous shooting. But that’s only me guesstimating! 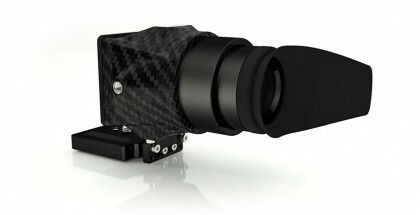 I have been eagerly awaiting this camera since the day it was announced. I caught your February footage as soon as it was released, and was blown away at what this little camera can do. Thanks for getting it out there for all to see! I’m curious on this post. You mention using Sandisk Ultra II cards. Why do you recommend these over Sandisk Extreme? The Ultra II are rated as Class 4, which isn’t fast enough. I realize Sandisk also labels them as being 15 MB/S, which in theory should qualify them for Class 10 status. In your experience have you found the Ultra II to be fast enough for full 1080P 30 fps video? If so, I’d love to know for sure. Any speed tests you’ve done, or that you could point me to? I have one 32GB Sandisk Extreme Class 10 on order, and if Ultra II will work well for half the price of the Extreme, I may get those instead when I order more cards. Thanks for your comment. Sorry for the confusion – I tried the SanDisk Ultra II cards and they worked just fine with in the 1080p mode for the time I used them, but I quickly switched to the Transcend 16GB SDHC cards simply because I already had many of them and they were much higher capacity than the SanDisk Ultra II I had. So they certainly worked well for me, but I cannot guarantee you that they will always be fast enough as I haven’t tested them that thoroughly. Thanks for the notion though, I will add some info about the SanDisk Extreme cards as well. Based on your comments, I think I will have to pick up an Ultra II card and do a little testing for myself. If I find they work well for 1080P, that will be great to know as they are significantly cheaper than the Extreme cards. I have a feeling SanDisk is selling themselves short labeling the Ultra II as only a Class 4. I just wanted to thank Nino so much for this blog. I’m very very new to DSLR (got my first, the T2i, this week) and know next to nothing. This blog has been a godsend. I’m curious tho: since it comes with 18-55 MM lens, why do you recommend the 50 mm in your basic lens article? Thanks Nicolas. Well, it doesn’t always “come with the 18.55mm lens”, because it’s possible to buy the camera body-only. And I recommend that, because this kit lens is not very good – but it is sure cheap. In the end it’s always the lens that is the bottleneck with these cameras. It’s much better to invest a bit more money (say, $200-$300) and get a faster lens – maybe a prime lens – and then you will really be able to take advantage of the opportunities this camera gives you (low light shooting, very shallow depth of field). Nicolas, have a look at the Canon 1.8 50mm prime lens that is very cheap, and at a longer lens as well. Unfortunately, longer lenses that are also fast are considerably more expensive than what your budget allows. Have a look at the Sigma 17-70mm f/2.8-4.0 lens – James tipped me off on this today and it seems like a great deal, despite the varying aperture (but 4.0 at the long end is still quite wide). It seems like a good always-on lens – but I haven’t used myself yet. 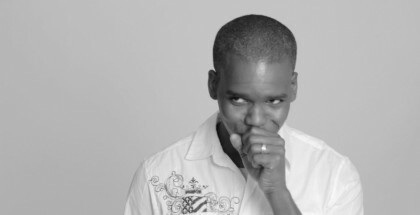 Loving the blog Nino, very insightful. I’m going to purchase the T2i as soon as it’s available here in California. Given the importance of good glass, would you recommend buying the body only and putting the 100 dollar’s price difference into a better lense, or is the kit lense useful in some way? Hi Jordan, thanks. I definitely recommend getting a better lens instead of the kit one. Check the appropriate blog post for recommendations (comments too). Nicolas, I’m in the same boat as you. Just bought the T2i and I’m diving right in for all the info I can find. I’ve heard having the kit lens is great for resale value and for a backup. As far as finding the one lens for all, you may be disappointed. I think you should look into 2-3 different lenses. Ask yourself what kind of shots are most important to you and what is your budget. Then go from there. Also YouTube has been good to me. 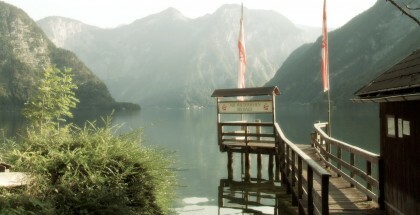 Like this…. ….and get crazy with the creative modes. M, AV, Tv..
Great resources Frank. Actually, you’re really giving me an idea here – I will make a video explaining the depth of field particularly concerning video and film. The principle is the same as in photography (as shown in the YouTube video you provided), but there are some MAJOR differences here that need to be addressed, otherwise you can run into a lot of trouble. This also fits nicely into the next blog that was planned anyway, because this also regards the aperture and therefore the depth of field: neutral density (ND) filters. thanks for these great posts, nino! i want to purchase the 550 in the next few months and your infos really are a great help when it comes to accessories and gear. i also love your short film, it look gorgeous! looking forward to future entries on 500d gear! Your equipment sure is fine. I sometimes even edit on my 4-year-old first generation MacBook. Just be sure to convert the files as detailed by Philip Bloom! (Check out the link to his tutorial in my review of the camera.) You absolutely have to convert the footage before editing, because the H.264-files straight off the camera are too hard to work with, they are not intended for editing at all. amazing, thanks for the tip! i’ll be sure to do that. thanks for answering all these questions, really appreciated! Hey Nino. Luv the site. Just picked up the 550d last week and it’s amazing. Could you please post that link to Philip’s file conversion tutorial again? Thanks! Hey nino, I´m eagerly waiting for your blogpost regarding sound on the 550. Do you recommend an external recorder or is there a possibility to get a good microphone setup that plugs in directly for interview situations? Will talk about sound soon. For now: External recording is still the best option, but there is now quite a good solution to get acceptable sound internally too. Check back soon! what is the sound solution? Nino, help me! 🙂 What tripod does you advice to buy for 550D? Budget – about 100$. I’m buying it tomorrow. Velbon DV 7000 is probably up your alley. It seems to get very good reviews by all who use it, and it is less than $100. Seems quite sturdy, and has a “reliable” head. I have 2 Lexar 8GB class 4 in my 550D and capture video with no problems. Nino, did you get a chance to try out the batteries you ordered yet? I’m wondering which ones I should buy … thx for your help! Yes, I got them a few days ago. Will try to test them today or tomorrow, I’ll compare it to the original and let you all know! Where can i find a relatively cheap external microphone for the 550d? If you want to to serious audio recording on the 550D/T2i, you have to use separate recording though. The camera doesn’t allow manual audio metering. I recently purchased the Tascam DR100, which is an exceptional device and relatively cheap. 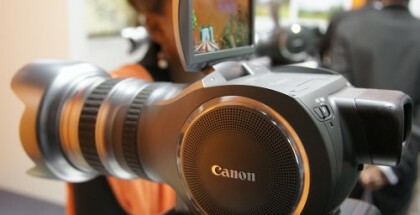 The other option is the Zoom H4N. I’ll write up a dedicated audio recording blog post shortly, but this is the essence. Any thoughts on the viability of this? Nino, really enjoying and benefitting from the wealth of knowledge on your blog. About to buy a 550 here in Hong Kong (taking advantage of the no sales tax!) and I had 2 questions. Shooting for the american (NTSC) market, it won’t matter if I have the T2i or the 550 right? Both can switch between NTSC and PAL? And a final word on memory cards, would I be fine w/ class 6? Or do you really recommend the class 10 cards? Yes, you are able to switch between NTSC and PAL with all the Canon DSLRs, so no problems there! Class 6 should be fine, I only use Class 6! This is a great a very useful blog, Nino, well done! I’m seriously thinking of investing in one of these cameras, but my only hesitation at the moment is the impossibility of using the viewfinder to shoot video (because of the lifted mirror as you mentioned) This makes shooting and focusing outdoors much more difficult, because the LCD isn’t very visible in bright light. I hear you can buy these add-on and expensive focus finders. Have you any thoughts on those? Or should I just go around with a black sheet over my head 🙂 ? I have been testing several viewfinders on my BTS of “Red Tails” in Prague last week, and I will post my review of them shortly! There are some good options out there that don’t cost you an arm and a leg. Great site Nino! Thanks a lot for all the effort you put into helping those that want to learn about this camera and how to use it to start shooting videos/films/movies. Thanks Ovidiu! You mean standard zooms? 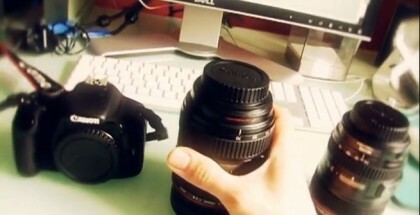 I’d check out the Canon 24-70mm f/2.8. Have you read my blog on lenses? It’s all there! thanks for your reply Nino. If you really want the “best standard lens money can buy” get the Canon EF 50mm f/1.2 – it is Philip’s favourite lens, and I worked with it most of the time last week on my behind-the-screens shooting of Lucasfilm’s RED TAILS. Now I understand why! 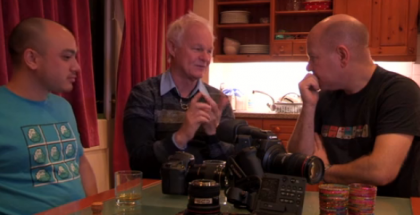 It is an amazing lens, nothing gives you shallower depth of field and you can shoot in absolute darkness. This lens sees more than your eyes. i have a question about image stabilization (IS). is it a must have on your lens? 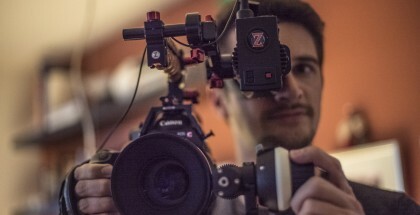 how significant is it the effect on DSLR video? If available with a lens, I would definitely recommend it for handheld shoots. Otherwise, you easily get the typical jittery ‘disintegrating CMOS skew image’ that you might have seen on many Vimeo videos done by amateurs with these cameras. 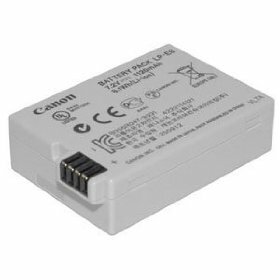 did you manage to find a battery pack not original and cheaper than the original but comparable in performance? Regarding camera bags, I use Pelican cases. I used a 1300 for my t2i and 2 kit lenses (people thought it was my lunchbox), but now that I have Camtroll, and external monitor and hardware for video I upgraded to a Pelican 1500 (xl briefcase size). I’m waiting for the photographer’s lid (ordered) so I have a place for batteries and other little things. These watertight cases have foam that you can pull out to make a custom fit for your devices, come with a lifetime warranty, and cost around 50-100. They have holes for a padlock too (I bought a Master sesame lock with an integrated cable, I’ve locked my case to desks at college when and left it behind). I feel safe putting the case in the trunk, but I don’t put my MacBook Pro in a messenger bag in there. I do not like camera bags. Especially ones that have brand names on them. They scream “steal me” to people. These cases are a less flashy, but are noticed by people who know what a Pelican case is. I should spray paint them to make them less attractive, but like the look of the cases. Actually I believe the complete opposite is true. Peli cases scream “I contain expensive equipment”, simply because they are only used for expensive equipment. Camera bags, on the other hand, oftentimes just look like regular backpacks or trolleys. The branding is minimal on most of these bags. I had a friend who had $1000+ of Sony Hi-8 Prosumer gear back in the 90s. He carried it to work in the backseat his old, worn VW Jetta (to film any news he found on his commute). His case? A woman’s white Samsonite Suitcase from the thrift store. It was filled with a piece of foam that he custom cut (with and electric knife) to fit his gear & accessories. The backpacks are cool, another classmate got and excellent deal on a backpack that holds Camera, Lenses, Gadgets and Laptop. It looks like a backpack until he unzips the camera section. But I prefer suggest stealth or security for a bag. You’re right, they are great for protecting your stuff from all sorts of transport situations. However, they are awfully heavy and need a lot of space, both not ideal for flying, which I find myself doing a lot over the past few years. thanks for your kindly information shared with us, it’s helpful.